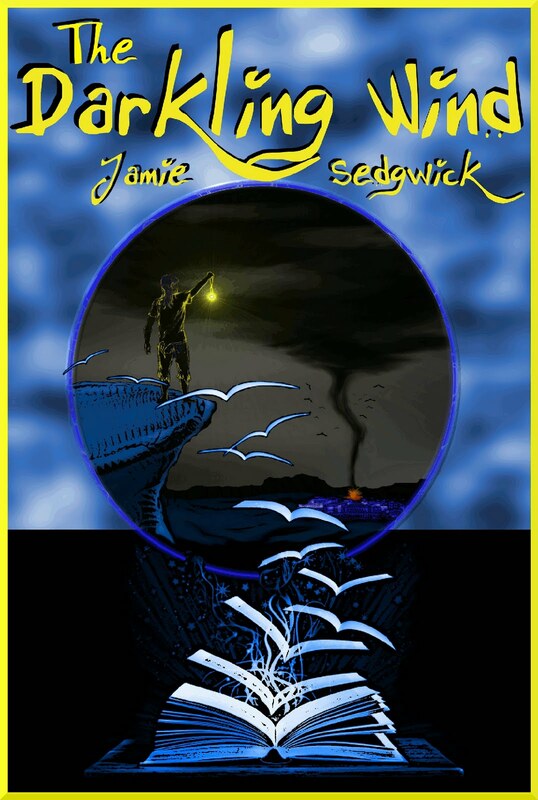 The Darkling Wind giveaway at Goodreads is over, and a resounding success in my opinion. Five winners were chosen this morning out of the more than 1100 entrants. Congrats to the winners and thanks to everyone who participated, and especially to Goodreads who makes these contests so effortless. The five signed paperbacks will be going into the mail tomorrow! I will definitely be doing more giveaways in the future, so keep an eye out. School will be starting in just a few weeks here in northern California, and as the summer winds down, so do my seasonal promotions. My final summer giveaway is a Kindle wi-fi, which will run through the end of August. The rules and entry info can be found HERE. I'd also like to take a moment to define my blog for new readers, if that makes any sense. It's been on my mind lately. I see a lot -A LOT- of writers blogging about their experiments with publishing, analyzing their sales figures, and sharing ideas of how to promote your latest work. That's great, but I really don't want to direct this blog towards other writers. I may provide some thoughts and insights into writing from time to time, but my primary focus is going to be on my readers.In other words, I'd like to use this blog as a means to share a bit of myself and my creative process with my fans. That is something I don't see a lot of, and it's something I would treasure from my favorite writers. So far in 2011 I have published 8 titles, including those published under my pseudonym. I have written two more books this year. They are both in the revision phase. One of those is a sequel to Shadow Born, and I am in the middle of another fantasy novel which I hope will launch a new series. I also have plans for a sequel to my best selling novel, The Tinkerer's Daughter. I hope to write that one this fall and publish it by Xmas. For each of these titles, I am planning giveaways and other exciting promotions. 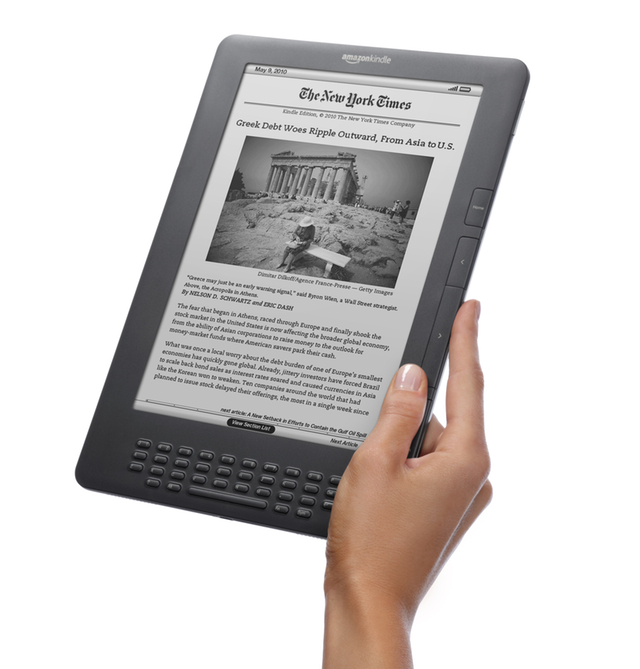 If the economy allows, I also hope to give away at least one more Kindle before the year is over. To sum it up, it has been and will continue to be a very busy year for me. Hopefully, that adds up to something good for you. The future looks promising, so stay in touch! How to win a Kindle: CONTEST OVER! Thanks to all who participated! 2) Sign up for my newsletter. Either of these methods are acceptable, both are better because then you’ll get two entries in the contest. The prize is a Kindle wi-fi, not the ad-supported spam version but the real deal. No purchase is necessary. You must be 12 or older (minors w/ parental permission) and live in the U.S. or Canada. Authors and employees of Timber Hill Press and their families are not qualified to enter. The winner agrees to have his or her first name and location published for verification purposes (ex: Sarah from Boston) The winner must provide a valid shipping address for delivery of the Kindle. Also, not all Kindle content is free and the buyer assumes responsibility for any purchases, subscriptions, etc. after they assume ownership of the Kindle. It’s that simple. When the contest ends, the names will go in a hat and I will choose one lucky winner. By the end of summer, you could be reading on your own brand new Kindle and all you have to do sign up by clicking the follow link and/or signing up for my newsletter at the top of the page.Good luck! My first blog tour will begin next Monday, July 18, and proceed possibly into the weekend. I'll be visiting the blogs listed below. There are alternative sites listed as well in case something goes wrong at any of the primary sites. During the tour there will be giveaways, guest posts, reviews, and excerpts. I hope to make an exciting announcement during the tour as well, but I have a few things to get in place first. I'm working hard to make it all happen at once. I'll try to do daily updates and links, but this list will serve as a general reference. I'd like to thank all the bloggers posted here, and the others who've taken time out of their busy lives to help us Indie authors break into the business. Your reviews, guest posts and author spotlights make a huge difference, and that does not go unnoticed. The Raven King's Chair is not a fantasy. I'm not sure if you'd classify it as dramatic, tragic, romantic or literary. What I do know is that it's not genre fiction. It's a short story I wrote a couple years back that was, oddly enough, inspired by a chair sitting in the middle of the freeway. I was driving through Santa Rosa one day and someone had left an old chair sitting in the meridian between the highway and the off ramp. The object was so oddly out of place and yet serene... no one stopped to move it or pick it up, they just drove by. And the chair sat there. 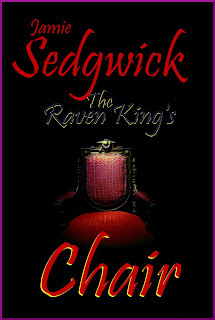 The strangeness of it stuck in my mind, and eventually led to the The Raven King's Chair. Also of note, The Tinkerer's Daughter was featured in the Indie Spotlight this weekend. It's very exciting to see it out there and getting a positive response. I have a few ideas for a sequel, but I won't say more on that yet. I have only so much time, and I don't want to get anyone's hopes up.